Pro Feet 5 Star. 1ltr. 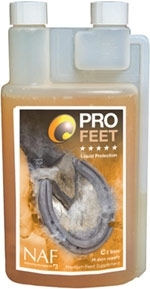 Advanced formula for long term, unique protection against cracked brittle hooves, whilst supporting strong healthy horn growth.